There is good news in spite of the recession and obvious famine in Nigeria, trust me. Being a majorly resilient people, Nigerians are surely in search of the way forward and out of the current quagmire. One event that brought succour to many Nigerians when announced on May 31 in Abuja is the National Development Reality TV show organised by the Nigeria Rebirth project crew. It was a room full of thought leaders, movie moguls, technicians, project managers, nation builders and media personalities on Tuesday, May 31, when the organisers of "Labour Room" Reality TV show unveiled to the press the first ever revolutionary show set to hit TV in August and promises to keep Africa glued to TV for 60 days. The National Coordinator of the project, Comrade Isaac Balami as well as the "Midwife' of the show, Nollywood's Mama G, Mrs Patience Ozokwor expatiated the essence f the show and especially the aspect of job creation and economic boost and the empowerment it profers. I was at the media unveiling live and will encourage you to visit my Instagram page and also JCB page to see pictures. Read the full transcript of the speech by Balami, to get all the details and also register to participate. It's our pleasure to have you as our strategic partners in this 2nd phase of Nigeria Rebirth Project journey which is focused on value and ethics orientation and stimulation of National economic activities that will position our beloved Nation Nigeria as the next super Nation. As part of the on-going Nigeria Rebirth Project's deliverables which we have communicated to the public through press release, reports and other Nigeria Rebirth Projects official documentations, We wish to use this medium to introduce NIGERIA REBIRTH LABOUR ROOM REALITY TV SHOW which is one of the Nigeria Rebirth Tools to enhance the on-going government and private sectors efforts to solve the issues of unemployment thereby engaging the teaming population of Nigerian youths positively to empower our National socio-political and security structures that will give birth to our collective Nigeria Dream as well as contribute to solidifying and strengthening the Nigerian economy. The Labour Room Reality TV Show is one of the Nigeria Rebirth Project commitment to its mandate of structuring the deep yearning of Nigerians into an IDEOLOGICAL FRAMEWORK that will drive every Nigerian home, office, institutions, corporations and National economic vehicles thereby reengineering the socio-political, security and economic position and global outlook of Nigeria and also the international perception of Nigerians. 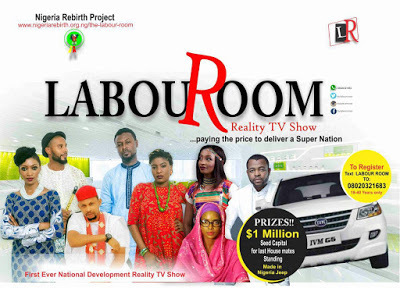 The ‘LABOUR ROOM’ is the first National Development Reality Television show in Africa, strategically designed by the Nigeria Rebirth Project to activate the true Super Nation potentials of Nigerians. to the confines of a Ten Room Mansion in a secret location for 60 days. They will be confronted by the harsh realities of living with a stranger from a completely different background, but they must work together to solve real life issues confronting Nigeria and Africa like Unemployment, Leadership, Conflicts and the Challenges and Promises of the Future. Every housemate stands the risk of an eviction majorly supported by the TV audience if they cannot break through the limitations of the several differences other housemates bring to the house. They will be watched and scrutinized daily by a cumulative television audience of about Sixty Million (60 million) people across the world. 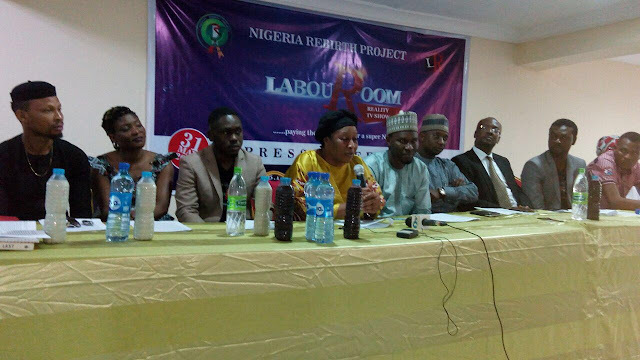 Some of the Special Television audience that will watch The Labour Room Reality TV Show includes, 48 African and world Leaders, 36 Governors of Nigeria and the FCT Minister, 114 Traditional & Religious Leaders, Captains of Industries and other key players in the development process of Nigeria and Africa at large. The last Four (4) housemates will emerge winners of the Labour Room Show and will be backing home with $1Million (N200 Million) SEED CAPITAL for a LOCAL CONTENT driven COMPANY. This seed capital will be released in three (3) phases as the company grows, and will serve as a special investment by our partners under the supervision of a special committee. The highest share holder of the company will be the winner followed by the first, second and third runners-up respectively. The First runner-up will receive a made in Nigeria car, the last man standing will win a made in Nigeria SUV. All contestants will be presented to a sitting leader of government in Nigeria. The LABOUR ROOM will activate employment across the country by its approach to empower housemates with seed capital. Every registered contestant stands a chance of being selected for employment in a joint Multimillion Naira company that is built from this Reality TV Show thereby supporting government efforts in creating a new social culture where the youths will be practically involved in solving national issues to create and inspire the true spirit of patriotism in Nigeria and to also promote, encourage and push local content products and concepts geared towards the growth of entrepreneurship in Nigeria. Registered contestants across Nigeria and diaspora will receive the Nigeria Rebirth 4litre Palm Oil, and automatically enters into the database of a new breed of Nigerian leaders and entrepreneurs. OUT-MATES who are contestants that are not into the house but works with the housemates are all entitled to N50, 000.00 (Fifty Thousand Naira) and each of the housemate is automatically qualified for N200, 000.00 (Two Hundred Thousand Naira) upon passing through the final screening process. Any Nigerian within the ages of 18 – 40 years; who is smart, intelligent, industrious and has passion for nation building both at home and in diaspora is qualified for The Labour Room Reality TV Show. The interested contestants will begin their quest for National greatness by first sending via text message “LABOUROOM” to 09034341586 as soon as registration fully opens, participants will be contacted to purchase the LABOUR ROOM form. After filling a Labour Room Contestant form, contestants will write a short Essay on “MY DREAM NIGERIA” that will be submitted to their State Coordinators (SC). Essays will be appraised by a panel of professionals before the Zonal Auditions. 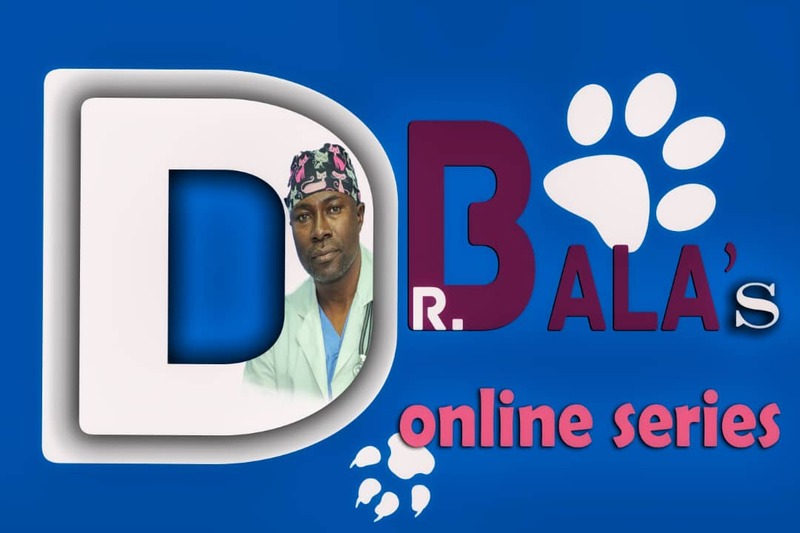 Nigerians in diaspora will have the opportunity to also participate in The LABOUR ROOM Reality Show. The 1st phase of auditions (essay writing) will be conducted on the website. The 2nd phase of auditions (visual interviews) will be conducted via the official Skype account of the LABOUR ROOM for shortlisted candidates on a scheduled time and date. The Final Selected Housemates will be screened and trained for one week before the Show commences in July 2016. For more details on the registration, audition centres and essay marking schemes, visit www.nigeriarebirth.org.ng The whole motivation and goal of Labour Room is job creation, economic empowerment of the teeming Nigerian population which will lead to National security and economic stability that will deliver the next super Nation of our dream. Welcome to the future! Dare to pay the price! !